This winter (cold and flu) season has been a tough one for us personally and also at the bake shoppe. It was a like a revolving door of staff that kept getting sick daily and we couldn’t stay on top of it. We filled our bake shoppe cupboards up with probiotics, enzymes, Oil of Oregano, throat lozenges, Echinacea tea and Immune Boosting Mushroom extracts and more for our staff. Even though we did not ‘cure’ every single one of them, I think we have, hopefully, shortened the duration of the illnesses and built up and supported their immune systems to fight it quicker. I got horribly sick. From December 10 until present day and I still have this lingering weird cough that takes over my life at night time. My immune system got compromised at the Tony Robbins, Date With Destiny event, from December 3rd to 10th, 2017. They kept the venue (Palm Beach Convention Centre) so low in temperature – it was a refrigerator. I would guess it was about 45F (about 8C). I’m not kidding. I had on layer after layer of clothes (a tank top, 3 layers of hiking long sleeve tops, a thick sweater, a ski vest, a ski jacket, gloves and a toque too at times) and I looked like the Pillsbury Dough Boy. They keep it this cold for Tony as he needs to be kept comfortable at these events – and he LOVES it cold. I cannot stand the cold. I know I wasn’t built for it at all and this was the beginning for me to have my immune system compromised. The Date With Destiny event lasted from 10am to 3am (Yes – 17 hours a day) and without enough sleep daily and the extreme cold conditions inside and then warm conditions outside, it was a perfect prescription for a body breaking down. 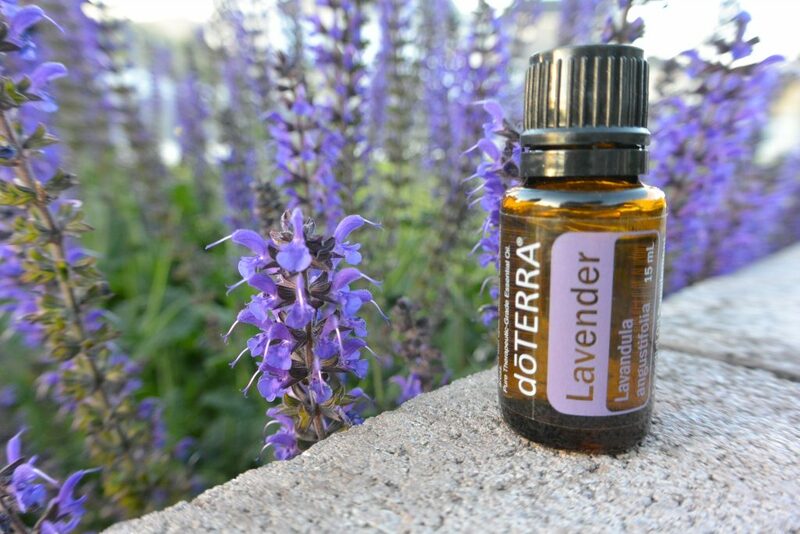 Lavender Oil (Search for Lavender oil in our Doterra store – it’s the best I know) – I put it on my sleeping pillow. It goes in my warm bath. I use it for a little dab under my nose to breathe it for an hour or so. I also do this little trick: when the coughing spells start, I grab a tissue and douse it with a few drops of lavender oil and hold it over my face. Magically, it soothes and calms my lungs and I instantly begin to feel better. My lovely mom is now sick and I have suggested this to her so she can fall asleep. She has disposable masks she bought at Shopper’s Drug Mart and she dabbed some lavender oil in the mask and placed it over her face so she is able to relax and sleep. 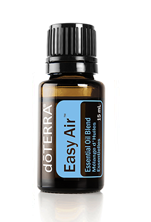 This one called “EASY Air” (it is called Breathe in the US) will allow your nasal passages to open up and give you some sleep. Note: Not all essential oils are the same. Trust us – they are transformative for your health. We buy only the best on this site. Probiotic – I cannot stress this enough. We need to support our gut and digestive tracts and keep it all healthy. This is where disease and sickness is created and needs to be protected. Please take a probiotic. I use this Purazyme brand and this Amazing Flora brand. We all need a probiotic and I take the best I can find. Do not compare prices with a probiotic. Ask for the best you can find. Curcumin supplements – A Superfood that boosts your immune system and can kill certain cancer cells too. Dead Sea Salt bath with lavender and seaweed – This is a detox both that helps pulls impurities out of our bodies through our biggest organ: our skin. I sit for about 30 to 45 minutes in a warm bath with this concoction in it and let the comfort and healing begin! Warm air in home – Warm, moist air vaporizers are a quick and easy fix in your bedroom. Available HERE on Amazon – I’m sure you can get same day delivery. Our lungs need warm, moist air to heal our lungs with these kind of bugs and also give us comfort. I know when I venture outside into the cold dry air I feel awful and my lungs feel weakened and I cough and cough. Doctors recommend you stay out of the cold air for a reason and you don’t want this sickness to get worse and turn into pneumonia. Chaga Tincture: We’ve all heard the crazy healing properties of mushrooms and this kind is the naturally foraged one. Known as the “King of Mushrooms” – chaga grows most often on birch trees and is found in Canada, Korea, Russia and some parts of Europe. This powerful mushroom has distinct and profound roots in Canadian native cultures and has been used for thousands of years to support their health. Chaga is anti-viral, anti-fungal, anti-bacterial and can help soothe inflammation in the throat and intestinal tract. It also calms our bodies and reduces stress, anxiety, fatigue, and quickly changing circumstances and enables us to calmly move through life and all the craziness we create. Chaga is recommended to be taken daily to encourage the strengthening of the progressive long term benefits. Viral Support Tincture (from Harmonic Arts): Lemon Balm, Licorice Root, Andrographis, Baikal Skullcap, Camu Camu, Olive Leaf, Thyme, Chapparal and Turkey Tail DE. AND Don’t forget your Oil of Oregano! It is a nature’s antibiotic. Throat and Lung Syrup (from Harmonic Arts): This made me feel so good. I knew I was healing my lungs and supporting my body with natural organic herbs and it made me feel stronger. Harmonic Arts is a very special business located in British Columbia. You can order their products HERE.